So much for being able to lease a carmaker's whole lineup. Cadillac recently introduced a new program that would allow customers to lease every car in its lineup for $1,500. The program is called "Book By Cadillac" and it's basically a program that allows customers to switch out cars from Cadillac. 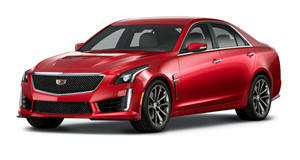 This means that someone could have a CTS-V for a trip to the beach, then take an Escalade the next week on a ski trip. We absolutely loved this idea, and hoped that other automakers like BMW and Mercedes-Benz would copy it. However, according to 24/7 Wall Street, the program may be a colossal failure. According to the report, Book customers get no response when they sign up for the service. GM also claims that it does not have enough cars for all of the people who want to sign up for the program. The service is only available in New York City as a test, but Cadillac still cannot fulfill subscriptions. Some customers have received this message when they try to sign up, "Thank you for your interest in becoming a Book by Cadillac member. At this time, there have been more requests than the number of open subscriptions. 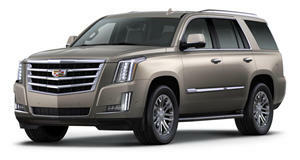 When a Book by Cadillac subscription becomes available, you will be contacted about the next steps." This is certainly not good for an expensive luxury service. If Cadillac can't make this service work in New York City alone, we don't think that it bodes well for an expansion into other cities and regions. We were really hoping that Mercedes-Benz would launch a similar service where customers could have a G-Class one week and an AMG GT the next. However, if Cadillac shows that the idea isn't viable, we can kiss goodbye the idea of other automakers starting similar programs.